What was the key idea behind Warren Buffett’s Investment in Coca-Cola? Who am I to tell you the key idea behind Buffett’s investing strategy? Buffett clearly states there are many ways to apply value investing principles and methodology. Throughout his career, Buffett has become more and more creative in how he applies his value investing methodology. When Buffett began his career he was much more dogmatic about investing on a valuation basis, like his mentor, Ben Graham. This is notably illustrated by his purchase of Berkshire Hathaway, which was a poor business trading at a discount. And while Buffett did ultimately profit from a lot of these strict-value-investing opportunities, he began to relax his standards a little bit. The key idea behind Warren Buffett’s investing strategy is that he has remained flexible and opportunistic at how he looks for value investing deals. To be sure, Buffett always has a margin of safety in the his investments. But as an example, when Buffett bought the best furniture store in Omaha he wasn’t too concerned about the price he paid. It looked like he knew the business was run incredibly well and he was confident it would be insanely profitable for years to come. There’s a lot of value in those discounted future cash flows, wouldn’t you say? 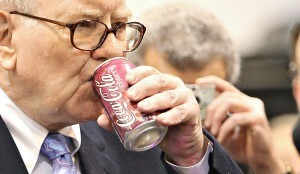 There’s my opinion on the key idea behind Warren Buffett’s Investing Strategy. If you’re still curious and want to see how Warren Buffett applies his key investing idea, you will love this post about Warren Buffett’s Investment Strategy Tactics. It digs much deeper into exactly what Buffett looks for in his investments (e.g. how his key investment idea is applied). And By The Way: If you’re still curious to learn even more about how value investing is applied, sign up below for my free mini-ebook and stock investing checklist. It’s free and will show you how I use these techniques every day. This entry was posted in Stock Ideas and tagged warren buffett key idea on January 5, 2014 by Jworthy.